Only a quick update today. There's work to be done! I wanted to show you my sampler I purchased on my last trip to France. I found it this morning. Much to my dismay, I've left it folded in a plastic bag for months. I was lucky to get the folds ironed out. What am I thinking? I must find a better way to store my UFO's. (Unfinished Objects...for those of you that finish everything. I know there are quite a few of you unfamiliar with this term. 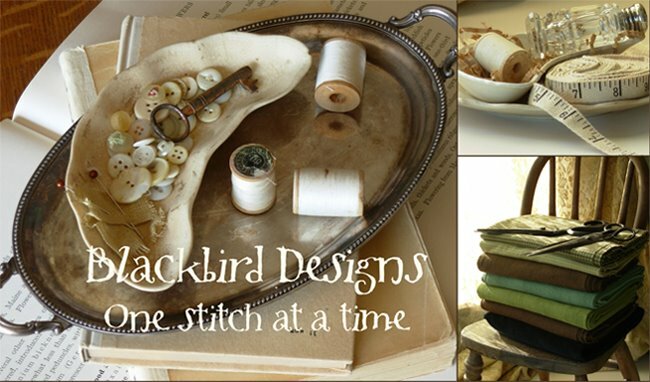 I have seen your blogs with your beautiful finished projects! You know who you are....we won't mention names here.) I digress....back on topic. I'm going to take this project back with me to France and work on it again. Give it one more chance to be in my completed pile. It will be one well traveled project. I'm using Poinsettia #035 silk by Gloriana threads. I need another skein of floss. It's a good excuse to visit Des Fils et une Aiguille. There might be another sampler I need to purchase. 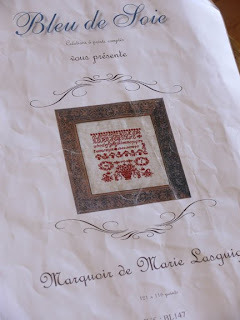 This is the sampler of Marie Lasguigue by Bleu de Soie. Here is a great site for European Samplers. Alissa is still charting the French Sampler I pictured here a couple of days ago. Not to fear, I want you to be able to stitch a French Sampler too. I will post the chart as soon as I get my hands on it. Couple of sites you have to see. These gals are really busy with hexagons. And Barb and I have enjoyed seeing what these gals are up to. Barb will post something soon. She has secrets to share with you too. I am new to your blog but not your works. I love everything you do. The red sampler is going to be lovely. Enjoy your trip to France. I will not consider my life complete til I stitch a sampler. Your work is so inspiring. I just discovered you blog yesterday Alma and commented on your sock post. This morning I mentioned it on my blog and also showed some the the socks I've made. Keep at them as I promise you, it'll get easier. Have a super vacation and bon voyage! Oh I love your UFO! And yes, I think we all have them! lol! Thanks for the links too -- I love the hexagon one. :D Can't wait to see what Barb posts. And have fun in France, whenever you go! What is your blog address? I did find the hexagon blog from your post yesterday. I would love to see your socks! France will for sure help you conjure up wonderful creative juices, which many of us are anxious to be the benefactors of. I'm anxious to chat with you again. I'm working on Home Sweet Home and Flea Market Find, right now. Such wonderful projects! I am so happy you are blogging. I was always checking your website to see what you both are up to. I have many quilting projects of your designs on the go and also have loads of stitching of your designs. I just started the Star Flower Hooked rug from your Samples of the Past Series. I have some WIP pics on my blog. I am now anxious for what your new book will be like. Any sneak peaks from it? 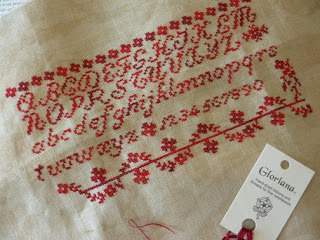 Lovely sampler, and lovely colour - enjoy Paris! 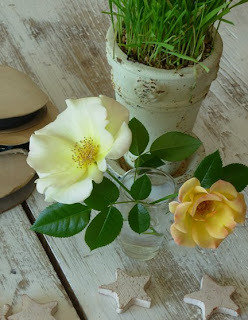 Fabulous blog..wonderful samplers..I want to go to France. I enjoyed the link so much!! Keep posting you are so motivating. it's incredible: when i visited that shop I bought the same chart sampler. Bleu de soie was used to create some red sampler but, unfortunately, she is out of business.